If you would like more information upon our range of Desk Chairs contact The Dorking Desk Shop. 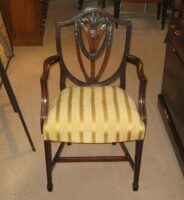 Victorian golden mahogany swivel desk chair. Reproduction mahogany framed tan leather Captains desk chair. Lovely shaped Victorian mahogany revolving desk chair. 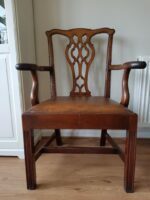 Reproduction, mahogany framed, leather Court desk chair. Fine Victorian mahogany revolving desk chair.